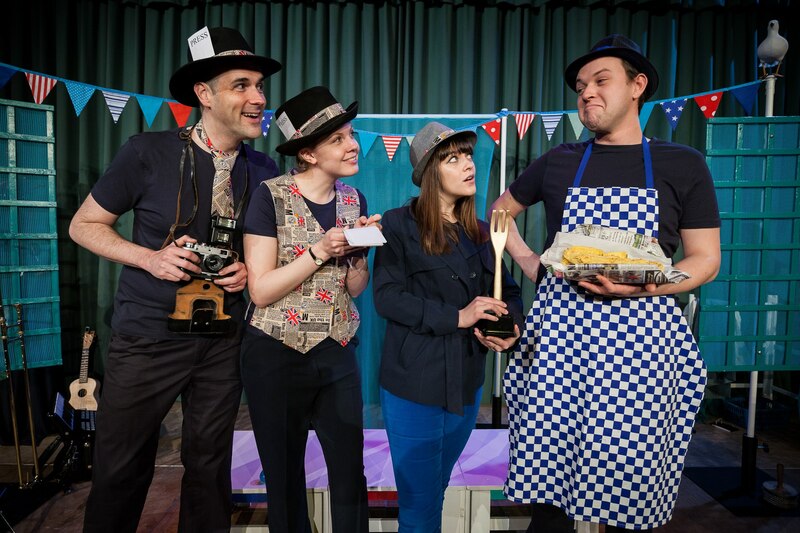 Britain’s most prolific band of roving actors The Mikron Theatre Company are stopping off in Warwickshire to present a savoury tale of fish and chips called ‘One of Each’ The show follows Sir Caspian Delamere’s mission to find the finest fish and chips in Britain. 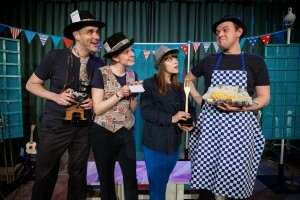 The performance will be playing at 3pm on August 8th at St Mary’s Allotments in Leamington Spa. . The troupe, who tour on a narrowboat, have 150 dates lined up this year which they will travel to by canal, river and road. Writer Deborah McAndrew said: “It’s always a lot of fun writing for Mikron, but working on One of Each has been a real labour of love. Like most British people, fish and chips are full of nostalgia for me. Right up until the present time it’s still a Friday family treat, but more evocative are the memories of childhood holidays: walking down the promenade at dusk, the sound and smell of the sea and the wind cooling my supper. Mikron, who have been producing their unique brand of theatre for 43 years, travel along canals and rivers, mooring up to play venues including a tunnel, pubs, cafes, living rooms, village halls, marinas and dry docks. They have covered an estimated 23,000 hours on canals and waterways, 440,000 road miles and performed to 312,000 people since starting out 44 years ago. The cast of four unpack set, props, costumes, musical instruments and lights before bringing their characters, stories and songs to life. One of Each pitches up at the allotments on August 8th at 3pm. No ticket is required but a cash collection will be taken after the show. This entry was posted in News and tagged Arts, Mikron by Martin Blows. Bookmark the permalink.